CBF was nominated the most socially responsible organization in the 2018 World Cup. 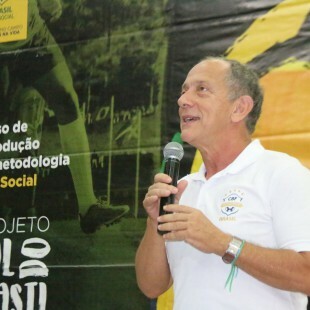 The majority of the Football For Friendship (F4F) members supported Brazil and considered it the most dedicated country following the nine values rules of the international social project. The Nine Values are: friendship, equality, fairness, health, peace, devotion, victory, traditions and honour. The Brazilian National Team won the award in Moscow, in the 2018 World Cup, and will receive the Nine Values Cup in the city of Porto, Portugal, on the next Saturday (23), at the Estádio do Dragão, where Brazil faces Panama in a Friendly game. 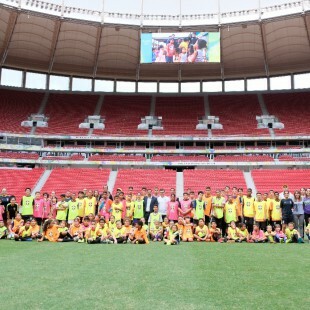 FIFA invited CBF to enjoy Football For Friendship in a partnership with Social CBF. Organised by Gazprom, F4F has a purpose to cultivate in the younger generation important values and interest in a healthy lifestyle through football. The Brazilian National Team won this award based on the CBF initiatives and projects. That is the reason why Brazil stands out between the 211 participants countries. 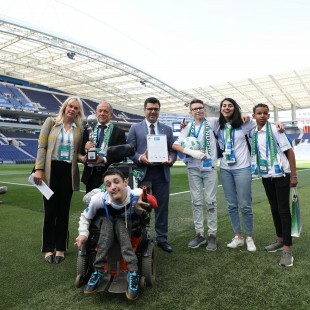 The CBF General Secretary, Walter Feldman and Diogo Netto, Manager of Technical Development and Social and sustainability, will take part in the ceremony, scheduled to saturday at 2 pm in Estádio do Dragão, and receive the Nine Values Cup. F.C. Barcelona, F.C. Bayern Munich, F.C. Wahda e Real Madrid C.F. have already received the Nine Values Cup. In 2018, there was the sixth edition of the award and CBF was the first National Confederation to win it. Since 2013, F4F has reunited more than 5.500 participants and reached 211 countries around the planet. The Football For Friendship is supported by FIFA, UEFA, Comitês Olímpico e Paralímpico, Football Federations, Children's Social Programmes, hundreds of famous athletes and thousands of journalists around the world. Due to the high level complexity and social responsibility the programme was recognised many times.